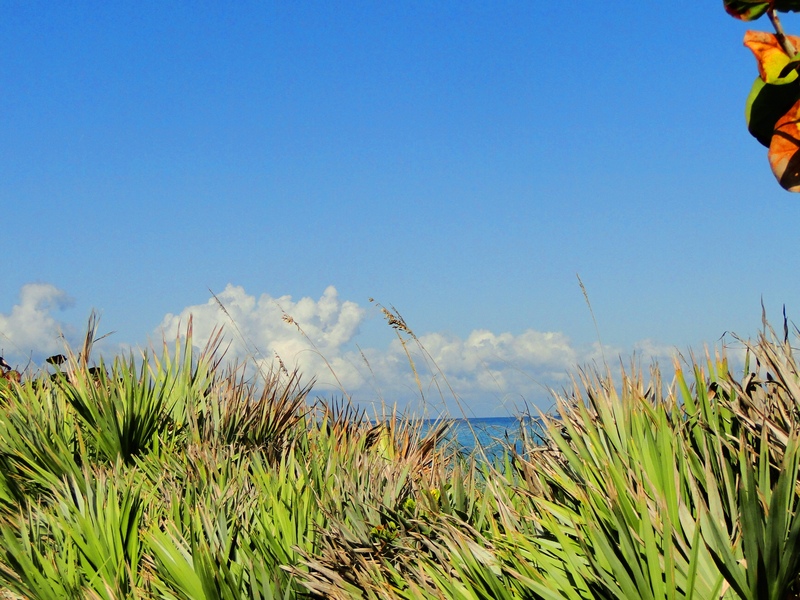 Discover the resiliency of nature in a visit to the Blowing Rock Preserve on Jupiter Island in Hobe Sound, FL. The area lies between the Atlantic Ocean and the Indian River Lagoon. Winding trails are under a canopy of native growth rich in vegetation, palms, insects, birds, sea turtles, lizards and snakes. It is a protected area allowing sea turtles to continue to safely nest there. A feature from which it derived its name is the spectacular Anastasia limestone rock formations. At high tide, the cystal blue green ocean waves pound the coast lined with these rocks, blowing high shoots of water up through the holes in the rock formations…enough excitement alone to make the visit worthwhile! Visitors can search for treasures of shells and other sea life along the ocean beach as well as the river lagoon. The Hawley Education Center on the lagoon side offers various FREE programs and exhibits such as Blowing Rocks: From Lagoon to Ocean & Beyond; Reef Revival: Underwater Coral Nurseries and more. Thanks. That is one of my favorites as well. Come back and visit soon!